Do you know what are these? 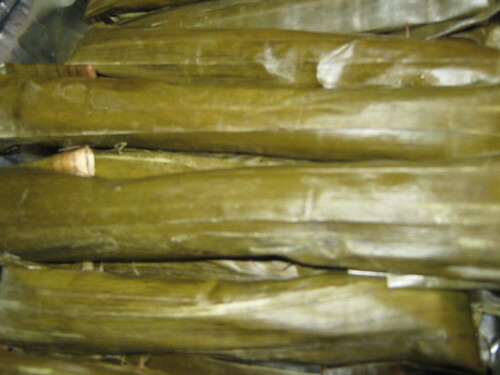 We called these Suman in the Philippines. It's a traditional dessert that most Filipino eat during holiday and special occasion. My mother with her friend cooked these Suman last week for Diane's confirmation. 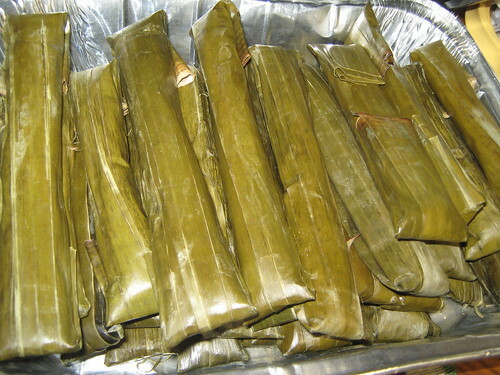 It's a Filipino recipe using glutinous or sweet rice or bigas na malagkit with coconut milk, salt or sugar and wrapped in a banana leaf. Masarap ito, tikman nyo!